Deadfire comes with seven companions and four sidekicks, where sidekicks are basically the same as companions, except that they have limited dialogue and no quests (that is, they're the "we ran out of money" companions, and maybe they'll get expanded later). Each time you recruit one of these characters, you can choose between two classes or a multi-class for them, giving you lots of options for how you want to build your party. For example, when you reunite with Eder (who was a companion in the first game as well), you can make him a fighter, a rogue, or a fighter-rogue. And if you don't like the companions, then you can always build your own characters and fine-tune your party however you want. All characters are built up in exactly the same way. When creating your character, you get to decide what happened during the first game. The easiest way to do this is to import a saved game, but you can also go through a multiple-choice survey and select how events played out, or you can select what type of character you're playing and let the game decide what you would have done. I was lucky and still had my saved games available, so that's the method I used. I played a chanter-paladin (aka "herald") in Deadfire. Between paladin auras and chanter chants, I was able to provide my party with all sorts of good buffs, and multi-classing ended up working pretty well. I also focused on diplomacy, so I was able to talk my way past many fights, but that skill wasn't as useful as I had hoped -- because combat is surprisingly easy. But more on that below. 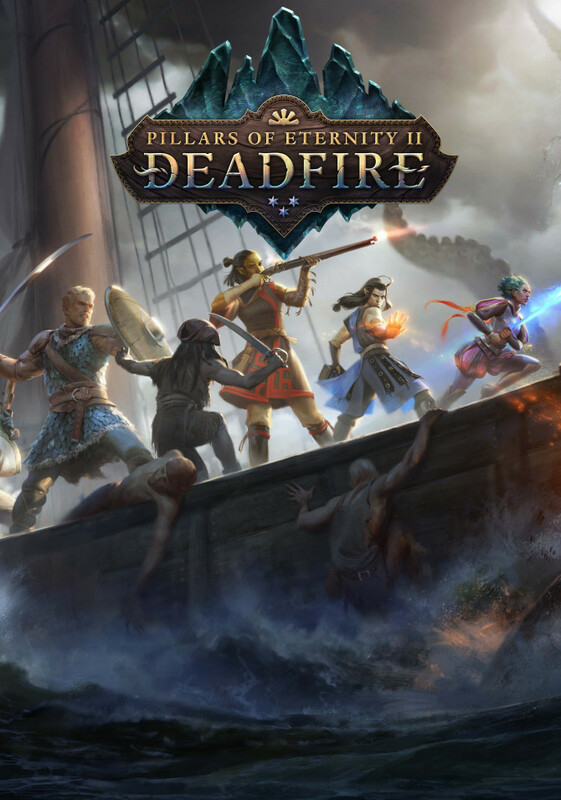 Pillars of Eternity II: Deadfire, like its predecessor, emulates the Infinity Engine games of old. So you play the game using an isometric view, and you left-click where you want your party to go. You can also right-click to force your party to face a particular direction, which is useful when you're approaching enemies. Deadfire includes a "smart" camera that follows your party around, so you don't need to control it at all. But if you want to check out a distant part of the map, then you can use the WASD keys to move the camera around. Other useful hotkeys include tab to illuminate hotspots, the spacebar to pause the game, F5 to quicksave, and F9 to quickload. You can also reconfigure the hotkeys, plus rearrange the layout of the interface, so you should be able to make everything work just the way you want. The Deadfire campaign revolves around the god Eothas, who takes control of a giant statue and starts wandering around absorbing souls -- including yours. Since Eothas tried to start a war in the past, his actions now worry the other gods, and they return part of your soul to you so you can follow him around and figure out what he's up to. This leads you to the Deadfire Archipelago, where the entirety of the game takes place. Unfortunately, the main questline is basically just a carrot to lead you around the archipelago. I spent about 70 hours playing Deadfire, and the main quests only took maybe an hour of that time. Instead, the focus of the game is on side quests for the various inhabitants of the archipelago, including several factions that oppose each other -- trading companies, wealthy families, and of course pirates. Obsidian had a lot of fun with the pirate theme. You get to use an upgradeable ship as your base of operations, you can wear pirate garb like eyepatches and tri-corner hats, your ship's crew sings pirate shanties while you sail, in one quest you get to search for buried treasure, and you can stalk any number of opposing ships and loot their holds for profit. There's even a Pirates of the Caribbean themed undead ship that you have to deal with. About the only thing Obsidian missed is parrots, which is strange since you get to have a pet in the game, and parrots would have been a great fit. Maybe Obsidian is saving them for a Parrots and Port DLC.